One of the biggest things the mobile world complains about when it comes to BlackBerry is the apparent lack of apps. While we are still lacking support from some major apps, I'm always surprised when I find something even I thought we didn't have. A few weeks ago I purchased a Go Pro camera and was disappointed that there was no official app for #BlackBerry10. A quick search in BlackBerry World showed me a 3rd party app that works with my Go Pro. Awesome! Fast forward to my latest interesting project. I travel quite a bit with my family for dance (my two boys @MikeHydroflow & @Kevin_XS dance hip hop. Follow their BBM channel C00071CE3). Being gone so often has made me concerned for my house while I'm away. I have two security cameras already and recently purchased a NEST thermostat. I enjoyed the ability to connect with my house while away to make sure everything is good. While browsing the Internet I came across something called ZWave. 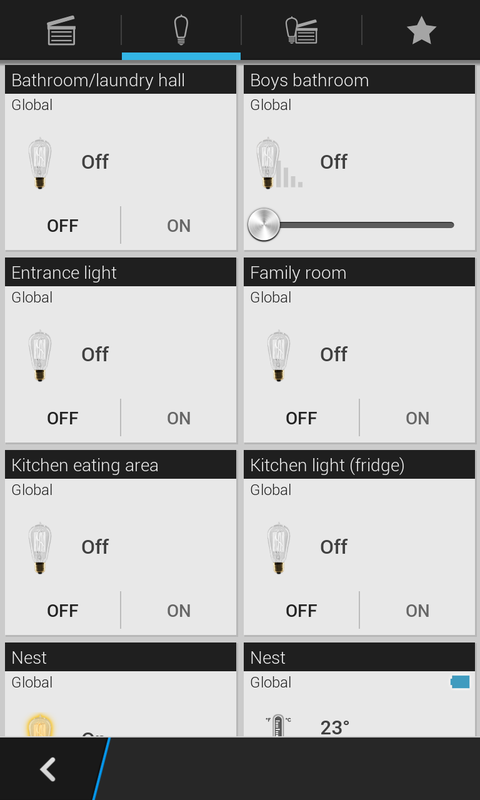 This is basically a simple-to-install home automation system consisting of a controller (that connects to the internet) and light switches/dimmers. The system allows for remote activation of lights and plug in devices via a Web portal or smartphone app. I purchased a Micasaverde Lite and several light switches and a DSC alarm interface. Setup of the Micasaverde was simple and easy. The actual devices should be installed by a licensed electrician (which I happen to be :-D). After the setup a quick scan of BlackBerry World found me an app called Home Buddy. This is an android port, but functions well and allows for basic remote functionality. I personally chose to sideload an app called AutHomation HD. This app is awesome and even has a #BlackBerry10 feel to it with sliding app menu panels. There are other ZWave compatible devices as well. 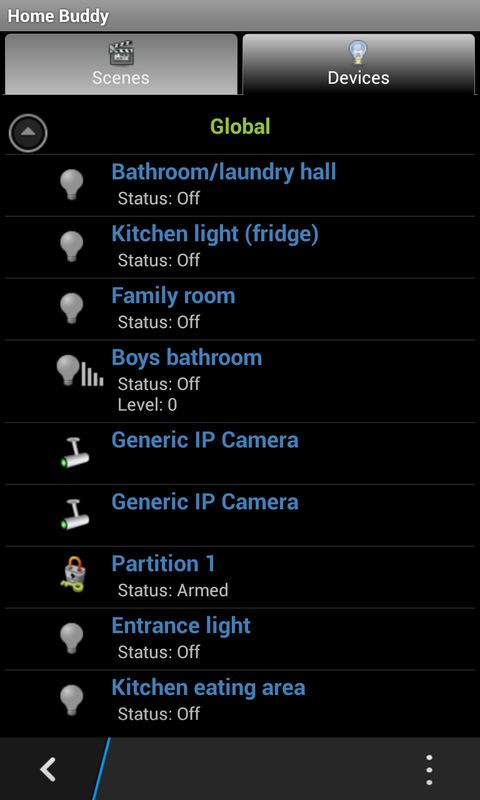 Locks, wireless alarm sensors and more. 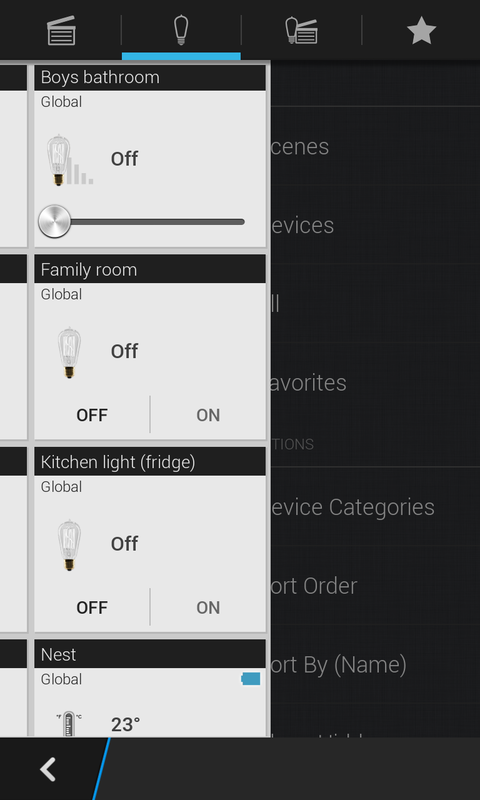 The good news is if you have a PlayBook or a BlackBerry 10 device you can use these devices for home automation! How can I sideload Authomation HD on my Q10? do you have a sideload file I can use? Authomation is available if you sideload Snap for BlackBerry 10. The company's scheme of merchandise makes wireless home security observance, remote home lighting management, wireless weather observance and remote blinds and curtains management attainable , for more information visit here Home Automation Palm Beach Gardens. Home security is a important issue now-a-days! There are many people want to know about home security and also about office security as well. Just visit business cctv systems Perth now. Thanks!